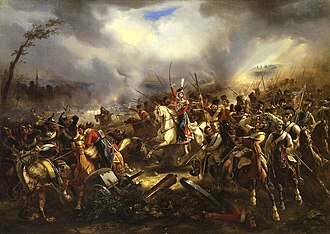 The Battle of Haslach-Jungingen, also known as the Battle of Albeck, fought on 11 October 1805 at Ulm-Jungingen north of Ulm at the Danube between French and Austrian forces, was part of the War of the Third Coalition, which was a part of the greater Napoleonic Wars. The outcome of this battle was a French victory. During the Ulm Campaign, Napoleon's Grand Army had executed a massive right wheel to trap the Austrian army led by Karl Mack von Lieberich. 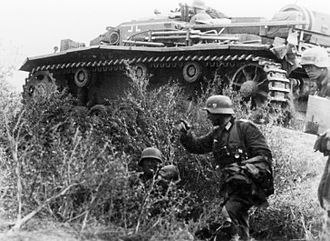 Starting on the Rhine River, facing east, the various French corps arrived on the Danube River, facing south. 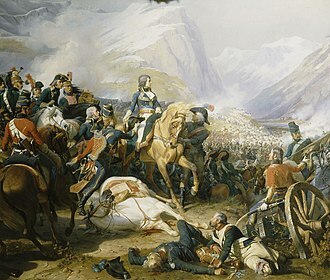 From the Danube, using Marshal Michel Ney's VI Corps as a pivot, the Grand Army continued its right wheel until most of Napoleon's corps were facing west. 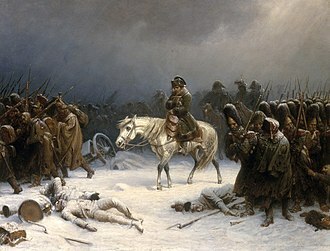 The bulk of the Austrian army was now trapped, though Napoleon did not know exactly where most of the enemy units were located. The French believed that the Austrian garrison of Ulm formed part of a rearguard, not a large army. Marshal Joachim Murat was placed in command of the VI Corps on the north bank and the V Corps and a large force of cavalry on the south bank. 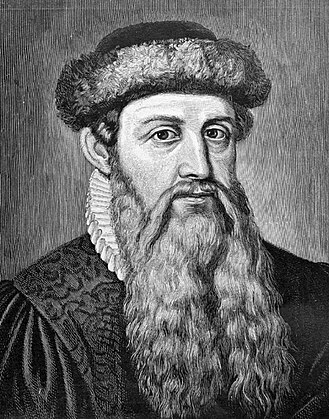 His mission was to drive west toward Ulm. On October 11, Murat ordered Marshal Michel Ney to move the bulk of his VI Corps to the south bank of the Danube. Ney argued that the north bank force was too small but Murat brushed him off with the comment, "I know nothing of plans except those made in the face of the enemy." Ney reluctantly complied with his orders, leaving only the division of Pierre Dupont on the north bank, supported by Tilly's VI Corps cavalry. The battle occurred when Mack and Archduke Ferdinand made an attempt to break out from the French forces that were surrounding them at Ulm. Later that day, Dupont found himself faced with 35,000 Austrian troops, including 10,000 cavalry, which Mack had sent eastward along the bank of the Danube. 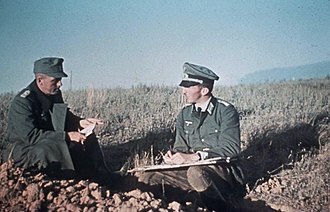 Dupont felt that retreat would lead to an Austrian pursuit and the destruction of his division, so he chose instead to attack the numerically superior Austrians. 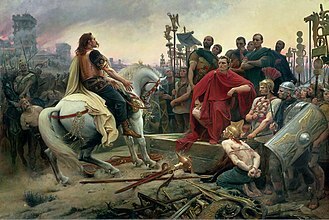 He also hoped that he could blunt their attack and at the same time convince them that he had a greater force at his disposal than was in fact the case. Dupont's 4,100-man 1st Division of the VI Corps was made up of two battalions of 9th Light Infantry and two battalions each of the 32nd and 96th Line Infantry Regiments under Generals of Brigade Jean Rouyer and Jean Marchand. 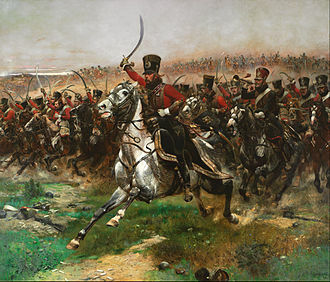 Tilly's cavalry brigade included the 1st Hussar Regiments, plus the 15th and 17th Dragoons. This made a total of 900 horsemen. His nearest support was a division of dragoons under the command of General Louis Baraguey d'Hilliers. Throughout the day the French were able to launch a series of holding attacks against the Austrian force, the fiercest taking place at the village of Ulm-Jungingen just to the west of Albeck. Here the church was held by the 9th Light. Rouyer fortified the church and sent skirmishers forward to blunt the Austrian attacks. He then sent forward reserve columns that had been held outside the village when the Austrian assault slowed at the church. Mack was unable to make effective use of his massive superiority in cavalry because woods to the north of Dupont’s position protected that general’s flank. As the battle progressed, Field Marshal Mack came to believe that the French troops he was now facing were part of an advance guard, not an isolated group, which prevented him from committing all of his reserves. This blunder allowed Dupont to hold off the Austrians long enough for nightfall to come, at which point he withdrew with his exhausted troops, 6,000 Austrian prisoners and 8 captured cannons toward Brenz. 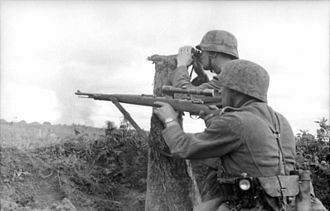 In addition, the Austrians lost 1,100 killed or wounded. Mack was lightly wounded and he withdrew back into Ulm. The Austrians inflicted a loss of 1,000 killed and captured 2 cannons on Dupont's command. 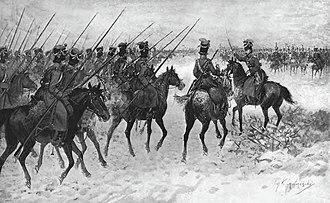 The Austrian Latour Light Dragoons Nr. 4 seized the eagle of the 15th Dragoons. 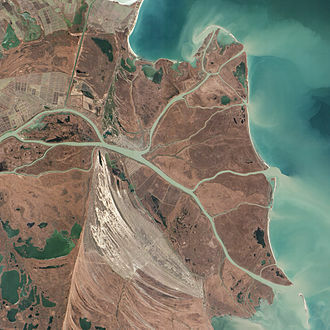 Murat's error gave Mack a great opportunity to break out to the east on the north bank of the Danube. Mack's very weak leadership and Dupont's aggressive response prevented the Austrian army from escaping the trap that Napoleon had set for them. For a few more days, only Dupont and some cavalry blocked the north bank while Mack dithered. After the fighting at Haslach-Jungingen a furious argument broke out between Ney and Murat as to who was responsible for the danger into which Dupont had been placed. 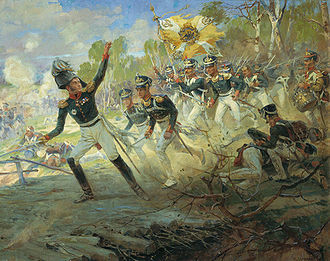 Napoleon intervened in this altercation, in the end supporting Ney. On October 14 at the Battle of Elchingen, Mack tried to break out again, but the rest of Ney's corps attacked across the river to the north bank. This plugged one of Mack's few remaining escape hatches. (in English) Bowden, Scott. Napoleon and Austerlitz. Chicago: Emperor’s, 1997. (in English) Chandler, David. The Campaigns of Napoleon. Macmillan, 1979. (in English) Smith, Digby. The Napoleonic Wars Data Book. Greenhill, 1998. The Ulm Campaign consisted of a series of French and Bavarian military maneuvers and battles to outflank and capture an Austrian army in 1805 during the War of the Third Coalition. It took place in the vicinity of and inside the Swabian city of Ulm, the campaign is generally regarded as a strategic masterpiece and was influential in the development of the Schlieffen Plan in the late 19th century. 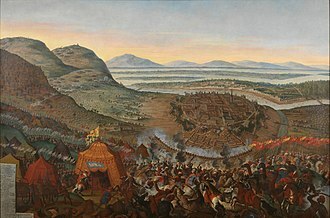 The victory at Ulm did not end the war, since a large Russian army under Kutuzov was still near Vienna, the Russians withdrew to the northeast to await reinforcements and to link up with surviving Austrian units. 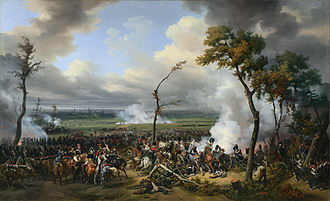 The French followed and captured Vienna on 12 November, on 2 December the decisive French victory at Austerlitz removed Austria from the war. 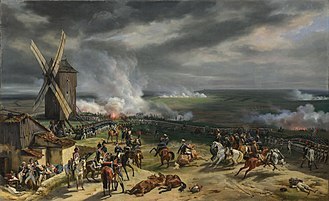 Europe had been by embroiled in the French Revolutionary Wars since 1792, after five years of war, the French Republic subdued the First Coalition in 1797. A Second Coalition was formed in 1798 but this too was defeated by 1801, Britain remained the only opponent for the new French Consulate. In March 1802, France and Britain agreed to end hostilities under the Treaty of Amiens, for the first time in ten years, all of Europe was at peace. 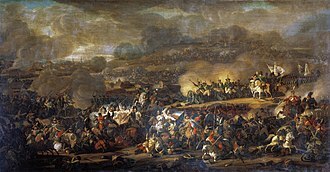 There were many problems between the two sides and implementing the agreements they had reached at Amiens seemed to be a growing challenge, Britain resented having to turn over all colonial conquests since 1793 and France was angry that British troops had not evacuated the island of Malta. The tense situation only worsened when Napoleon sent a force to crush the Haitian Revolution. In May 1803, Britain declared war on France, in December 1804, an Anglo-Swedish agreement led to the creation of the Third Coalition. British Prime Minister William Pitt spent 1804 and 1805 in a flurry of activity to form a new coalition against France. Mutual suspicion between the British and the Russians eased in the face of several French political mistakes and by April 1805 the two had signed a treaty of alliance. Having been defeated twice in recent memory by France and keen on revenge, prior to the formation of the Third Coalition, Napoleon had assembled the Army of England, an invasion force meant to strike at the British Isles, around six camps at Boulogne in Northern France. Ulm is a city in the federal German state of Baden-Württemberg, situated on the River Danube. The city, whose population is estimated at almost 120,000, founded around 850, Ulm is rich in history and traditions as a former Free Imperial City. Today, it is an economic centre due to its varied industries, Ulm is primarily known for having the church with the tallest steeple in the world, the Gothic minster, and as the birthplace of Albert Einstein. Ulm lies at the point where the rivers Blau and Iller join the Danube, at an altitude of 479 m above sea level. 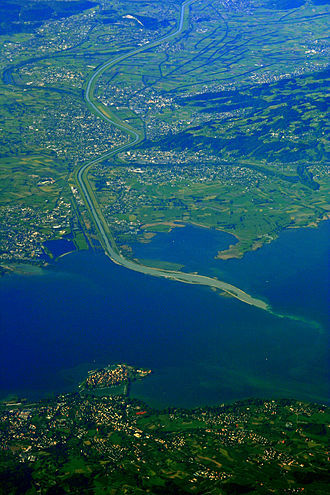 Most parts of the city, including the old town, are situated on the bank of the Danube, only the districts of Wiblingen, Gögglingen, Donaustetten. Across from the old town, on the side of the river, lies the twin city of Neu-Ulm in the state of Bavaria, smaller than Ulm and, until 1810. 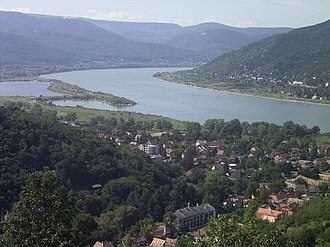 Except for the Danube in the south, the city is surrounded by forests and hills rise to altitudes of over 620 metres. South of the Danube and hills finally end in the edge of the Alps. The city of Ulm is situated in the part of the North Alpine Foreland basin. The Turritellenplatte of Ermingen is a famous site of Burdigalian age. On the right side of Danube and Iller there is the district town Neu-Ulm. On the left side Ulm is almost completely surrounded by the Alb-Danube district, nine districts that were integrated during the latest municipality reform in the 1970s. They have own local councils which acquire an important consulting position to the city council concerning issues that are related to the prevailing districts. But at the end, final decisions can only be made by the city council of the city of Ulm. The oldest traceable settlement of the Ulm area began in the early Neolithic period, settlements of this time have been identified at the villages of Eggingen and Lehr, today districts of the city. In the city area of Ulm proper, the oldest find dates from the late Neolithic period, the earliest written mention of Ulm is dated 22 July 854 AD, when King Louis the German signed a document in the Kings palace of Hulma in the Duchy of Swabia. Field marshal is a very senior military rank, ordinarily senior to the general officer ranks. Usually it is the highest rank in an army, and when it is and it is considered as a five-star rank in modern-day armed forces in many countries. 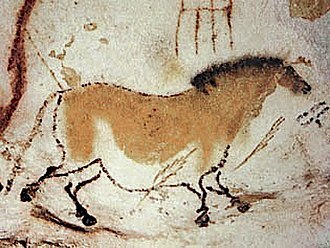 The origin of the dates to the early Middle Ages, originally meaning the keeper of the kings horses. Promotion to the rank of marshal in many countries historically required extraordinary military achievement by a general. However, the rank has used as a divisional command rank. The traditional attribute distinguishing a field marshal is a baton, the baton nowadays is purely ornamental, and as such may be richly decorated. That said, it is not necessary for the insignia to be a baton, the exact wording of the titles used by field marshals varies, examples include marshal and field marshal general. The air force equivalent in Commonwealth and many Middle Eastern air forces is marshal of the air force. Navies, which usually do not use the nomenclature employed by armies or air forces, use titles such as fleet admiral, Field marshal Mohammad Qasim Fahim was a politician in Afghanistan who served as Vice President from June 2002 until December 2004 and from November 2009 until his death. Between September 2001 and December 2004, he served as Defense Minister under the Afghan Transitional Administration. As military commander of the Northern Alliance, Fahim captured the Afghan capital Kabul in the fall of 2001 from the Taliban government, in 2004 President Hamid Karzai provided Fahim the honorary title Marshal and a year he became member of the House of Elders. He became a recipient of the Ahmad Shah Baba Medal, Fahim was a member of Afghanistans Tajik ethnic group. He was affiliated with the Jamiat Islami party of Afghanistan, Sir Thomas Blamey was the first and is the only Australian-born field marshal. He was promoted to the rank on the insistence of the Australian prime minister, Sir Robert Menzies, Blamey was, at the time of his promotion, seriously ill and mostly bed-ridden in the Heidelberg Repatriation Hospital. He was presented with his marshals baton at a ceremony held in the sunroom at the Heidelberg Repatriation Hospital by the Governor-General of Australia. Blameys field marshals baton is on display in the Second World War galleries at the Australian War Memorial in Canberra. 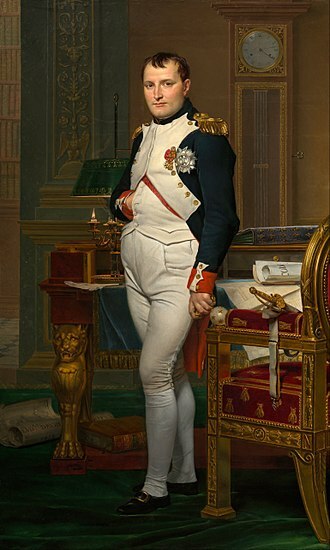 Joachim-Napoléon Murat was a Marshal of France and Admiral of France under the reign of Napoleon. He was the 1st Prince Murat, Grand Duke of Berg from 1806 to 1808 and he received his titles in part by being Napoleons brother-in-law through marriage to his younger sister, Caroline Bonaparte, as well as personal merit. He was noted as a daring and charismatic cavalry officer as well as a flamboyant dresser and was known as the Dandy King. In 1789, an affair forced him to resign, and he returned to his family, by 1790, he had joined the National Guard, and when the Fête of the Nation was organized on 14 July 1790, the Canton of Montaucon sent Murat as its representative. Then he became reinstated into his old regiment, an ardent Republican, Murat wrote to his brother in 1791 stating he was preoccupied with revolutionary affairs and would sooner die than cease to be a patriot. This garnered for him the support of the Republicans, for he rejoined his regiment and was promoted to Corporal in April of that year. By 19 November 1792, he was 25 years old and elated at his latest promotion. As a sous-lieutenant, he thought, his family must recognize that he had no tendency for the priesthood. One of the Ministers had accused him of being an aristocrat, confusing him with the family of Murat dAuvergne. In the autumn of 1795, three years after King Louis XVI of France was deposed and counter-revolutionaries organised an armed uprising, on 3 October, General Napoleon Bonaparte, who was stationed in Paris, was named commander of the French National Conventions defending forces. This constitutional convention, after a period of emergency rule, was striving to establish a more stable. Bonaparte tasked Murat with the gathering of artillery from a suburb outside the control of the governments forces, Murat managed to take the cannons of the Camp des Sablons and transport them to the centre of Paris while avoiding the rioters. The use of these cannons – the famous whiff of grapeshot – on 5 October allowed Bonaparte to save the members of the National Convention, for this success, Joachim Murat was made chef de brigade and thereafter remained one of Napoleons best officers. Jean Gabriel Marchand, 1st Count Marchand went from being an attorney to a company commander in the army of the First French Republic in 1791. He fought almost exclusively in Italy throughout the French Revolutionary Wars and he participated in Napoleon Bonapartes celebrated 1796-1797 Italian campaign. In 1799, he was army commander Barthélemy Catherine Joubert when that general was killed at Novi. Promoted to general officer soon after, he transferred to the Rhine theater in 1800, at the start of the Napoleonic Wars in 1805, Marchand led a brigade in the Grande Armée at Haslach-Jungingen and Dürenstein. Promoted to lead a division in Marshal Michel Neys corps, he fought at Jena, leading an independent force, he defeated 3,000 Prussians late in the year. The following year he led his troops at Eylau, Guttstadt-Deppen, Napoleon bestowed honors and the rank of nobility upon him. 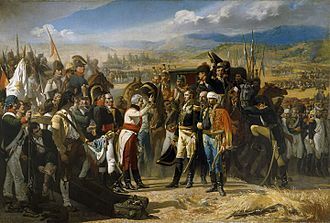 In 1808 Marchand went to Spain where he fought in the Peninsular War, in Neys absence, he took command of the corps and suffered a humiliating defeat at Tamamés at the hands of a Spanish army. He went with Marshal André Massénas abortive invasion of Portugal in 1810 and 1811 and fought at Ciudad Rodrigo, during the retreat he performed well in one rear guard action against the British and led his division at Fuentes de Onoro. In 1812 he commanded a division in Russia and he fought at the head of his division at Lützen and Leipzig in 1813. 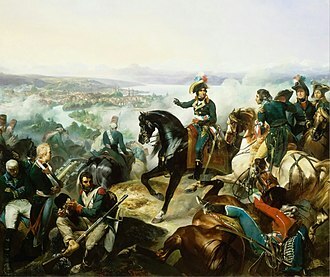 An Austrian division defeated his independent command near Geneva in 1814, during the Hundred Days he was tasked with stopping Napoleons march near Grenoble, but his troops went over to the ex-emperor. For this, he was tried by the Bourbons but acquitted. His surname is one of names inscribed under the Arc de Triomphe. Born in LAlbenc in the province of Dauphiné on 10 December 1765, Marchand became a lawyer and he joined the French army in 1791, leading a company of scouts in an Isère volunteer battalion. In the French Revolutionary Wars, he served in Italy during the years 1792-1799 and he fought first in Savoy, where he won notice, at the Siege of Toulon in 1793. The Austrian Empire was an empire in Central Europe created out of the realms of the Habsburgs by proclamation in 1804. It was an empire and one of Europes great powers. 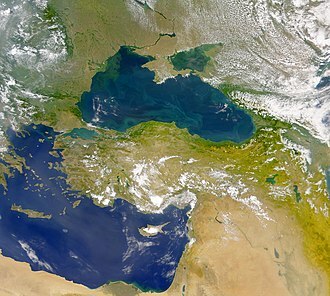 Geographically it was the second largest country in Europe after the Russian Empire and it was the third most populous after Russia and France, as well as the largest and strongest country in the German Confederation. Proclaimed in response to the First French Empire, it overlapped with the Holy Roman Empire until the dissolution in 1806. The Ausgleich of 1867 elevated Hungarys status and it became a separate entity from the Empire entirely, joining with it in the dual monarchy of Austria-Hungary. 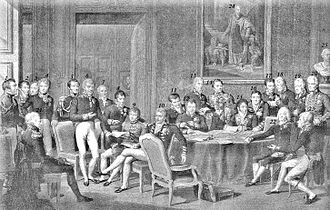 Changes shaping the nature of the Holy Roman Empire took place during conferences in Rastatt, on 24 March 1803, the Imperial Recess was declared, which reduced the number of ecclesiastical states from 81 to only 3 and the free imperial cities from 51 to 6. 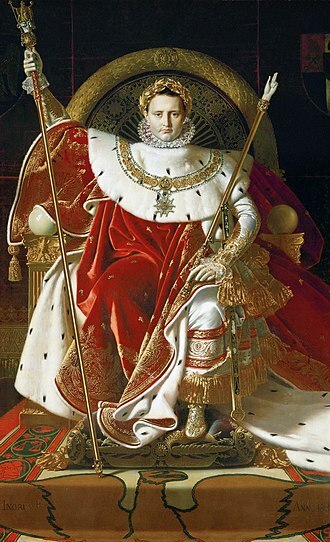 This measure was aimed at replacing the old constitution of the Holy Roman Empire, taking this significant change into consideration, the German Emperor Francis II created the title Emperor of Austria, for himself and his successors. In 1804 the Holy Roman Emperor Francis II, who was ruler of the lands of the Habsburg Monarchy, founded the Empire of Austria. In doing so he created a formal overarching structure for the Habsburg Monarchy, to safeguard his dynastys imperial status he adopted the additional hereditary title of Emperor of Austria. Hungarys affairs remained administered by its own institutions as they had been beforehand, thus under the new arrangements no Imperial institutions were involved in its internal government. The fall and dissolution of the Holy Roman Empire was accelerated by French intervention in the Empire in September 1805, on 20 October 1805, an Austrian army led by general Karl Mack von Leiberich was defeated by French armies near the town of Ulm. The French victory resulted in the capture of 20,000 Austrian soldiers, Napoleons army won another victory at Austerlitz on 2 December 1805. 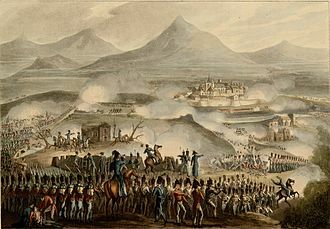 Francis was forced into negotiations with the French from 4 to 6 December 1805, the French victories encouraged rulers of certain imperial territories to assert their formal independence from the Empire. View from the Münster towards Hirschstraße. Ulm in the 1493 Nuremberg Chronicle. The capitulation of Ulm. General Mack and 23,000 Austrian troops surrendered to Napoleon. "Arrival of the dean fleet", showing the garrison of Malta in 1565 and the Ottoman invasion force. Archduke Ferdinand Karl Joseph (lithography by Joseph Kriehuber, 1841).